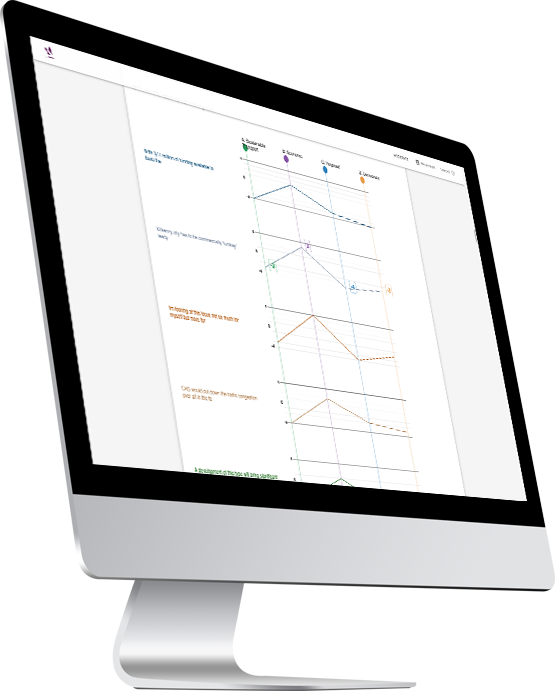 OpenInsights enables you to capture and visualise the full range of opinion and shared viewpoints on your important issue. With OpenInsights you have a way to ensure that everyone’s voice is heard and there is transparent data on the values, attitudes and beliefs driving opinion. This knowledge is helpful for co-producing solutions, effective dialogue and conflict mitigation. 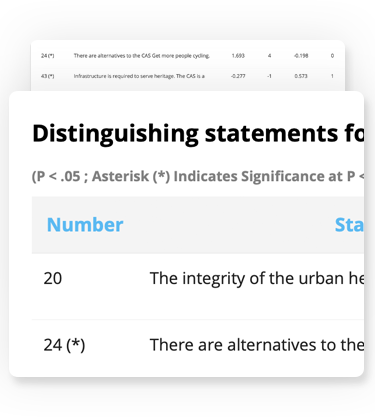 Users rank order a representative sample of opinion to reveal shared viewpoints. 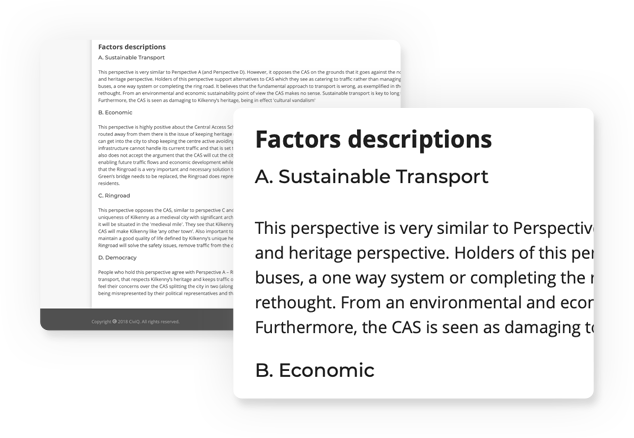 These are shared as narratives that define a small number of coherent ways of thinking about the isssue. 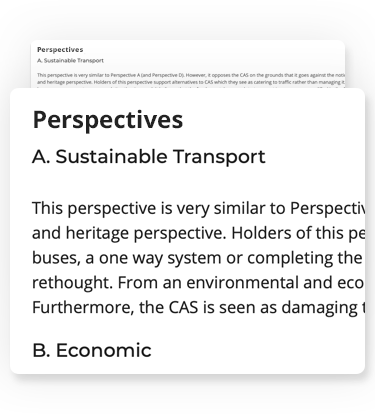 Visualise areas of most difference and consensus in your community, how does each viewpoint consider each opinion? 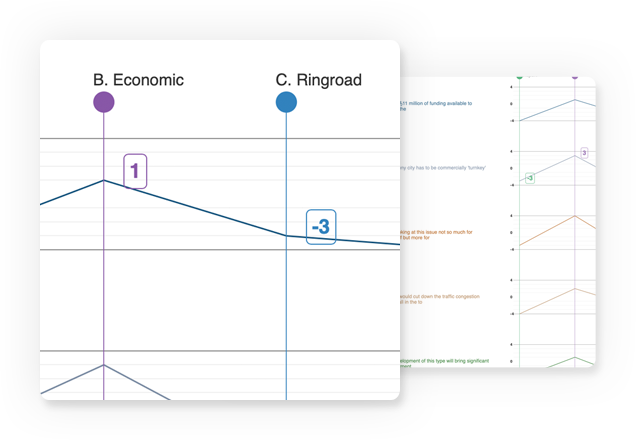 Explore the data and visualise to communicate with your teams and community. 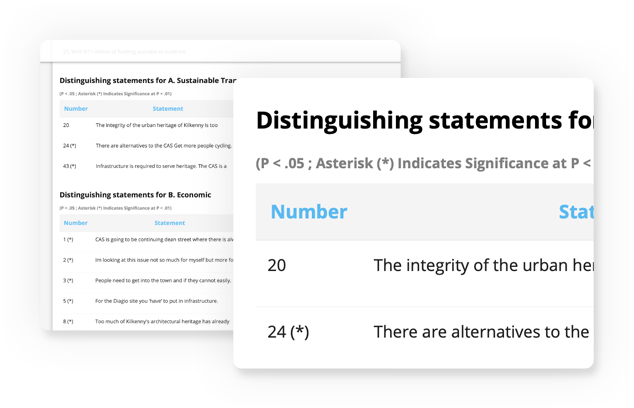 Explore how individuals relate to each opinion on the issue and explore the meaning behind their patterns. 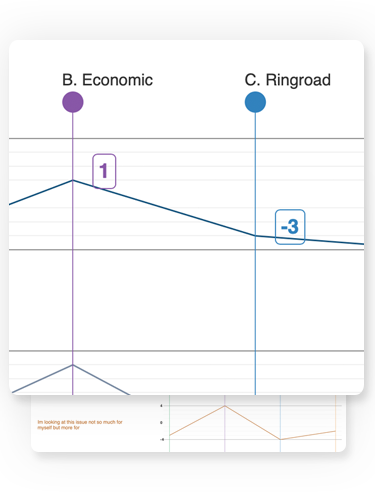 Compare and isolate with other viewpoints, manually rotate and explore your data for new revealing insights.